Here we are in Buenos Aires, sometimes called the Paris of South America, getting ready for our flight to, well, Paris. The plan had been to spend a week or even 10 days here, but a few days ago we decided to push our flight up a week so ultimately we spent just three days here. BA is a great city, one of those rare places where you feel like you could be in New York or London or, well, Paris. But it’s getting cold here, we’re getting tired of huge, glorious steaks, and it’s spring in Paris. So off we go. There’s not too much to say about our limited time here. It’s a great city for walking in and we walked a lot. 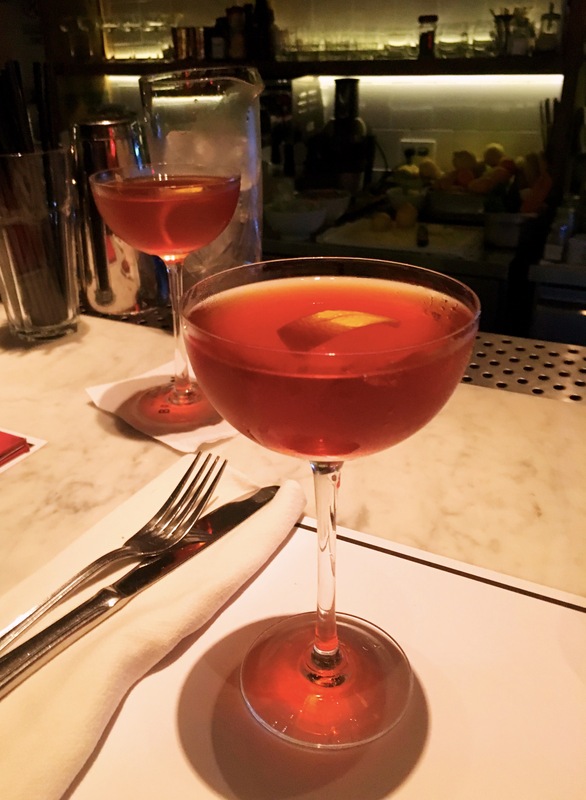 It’s a great city for eating and drinking in, and we ate and drank a lot. Of course, by the standards of Porteños (what the people of Buenos Aires are called) we’re rank amateurs. 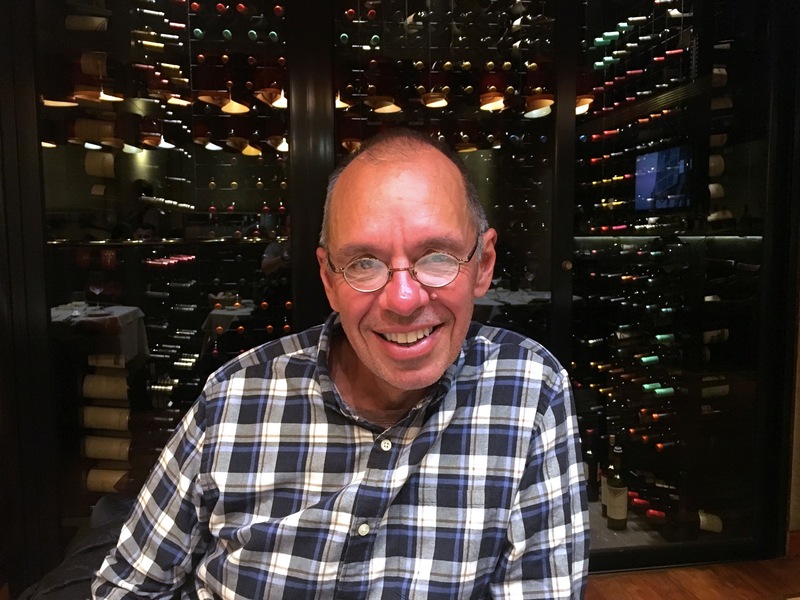 On Saturday night, as we were leaving our restaurant at 11:30 – since you wouldn’t dream of starting dinner before 10:00 – there was a substantial line of people waiting for seats. At 11:30 at night! For us the night was pretty much over, but for many it was just getting started. In fact, when I woke up a little after 6:00 AM, there were a number of boisterous revelers on the street finally going home after the clubs had closed. A strange way to live as far as I’m concerned but it makes for a lively, vibrant city. But OK, that’s pretty much it; now it’s time to go to Paris. It’s going to be an ugly flight – we start by going two hours in the wrong direction, as we’re routed through Santiago, Chile, and then it’s nearly 14 hours in the air – but tomorrow morning we’ll be in Paris. In the spring. 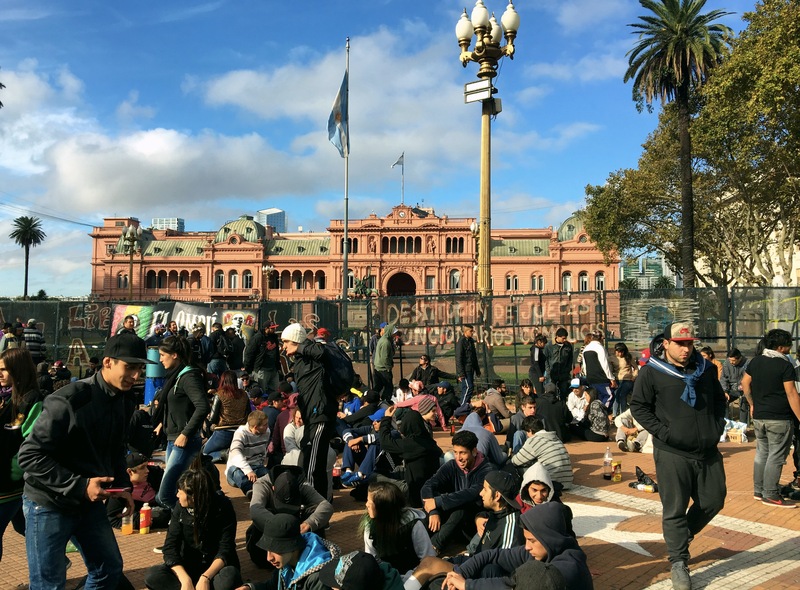 If you’re in the city you have to at least go by the Casa Rosada, Argentina’s presidential palace. From a distance we thought this must be a political protest but it appeared to be just a bunch of young people hanging out. The smell of marijuana smoke was powerful. Lunch one day, not far from the Casa Rosada, was at a French bistro. 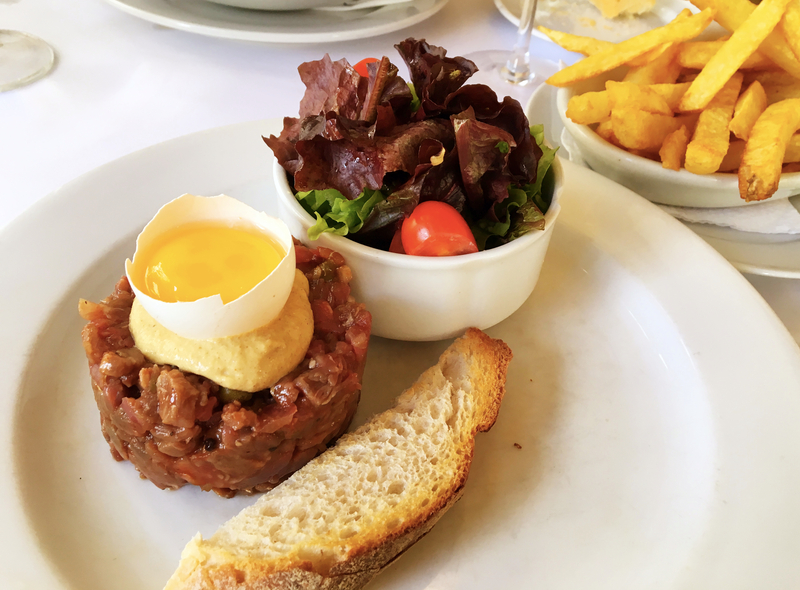 This was my steak tartare – raw meat, strong mustard, egg yolk – that was every bit as good as what we’ll be having in Paris. 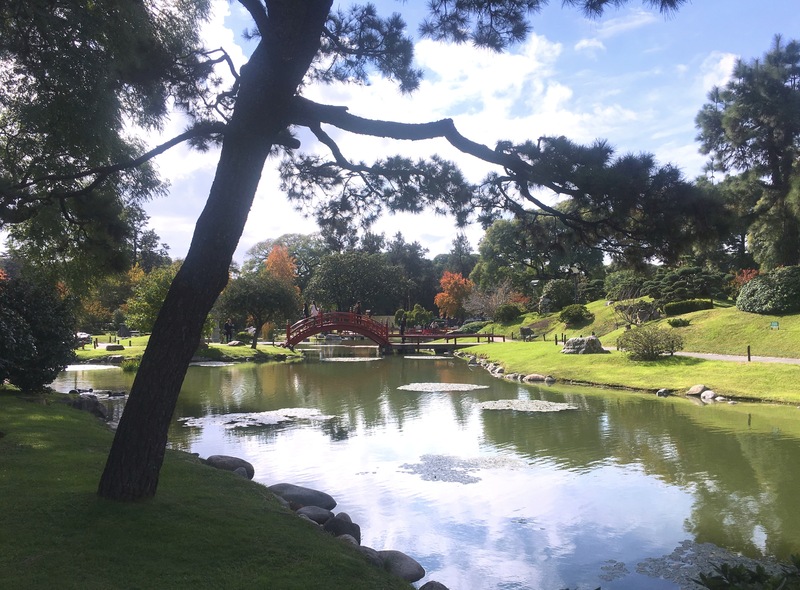 One more shot of the Japanese Garden. You can almost feel Mt. Fuji there in the background. Restaurants were the major find in Córdoba. 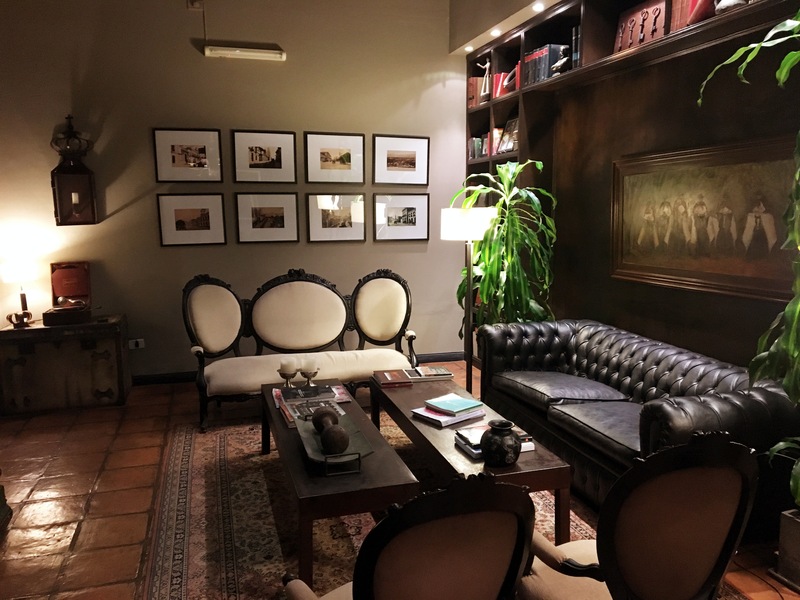 At San Honorato you’re seated, order your food and wine, and then go down to the wine cellar where they court you with free wine and appetizers until your meal is ready. Nice! 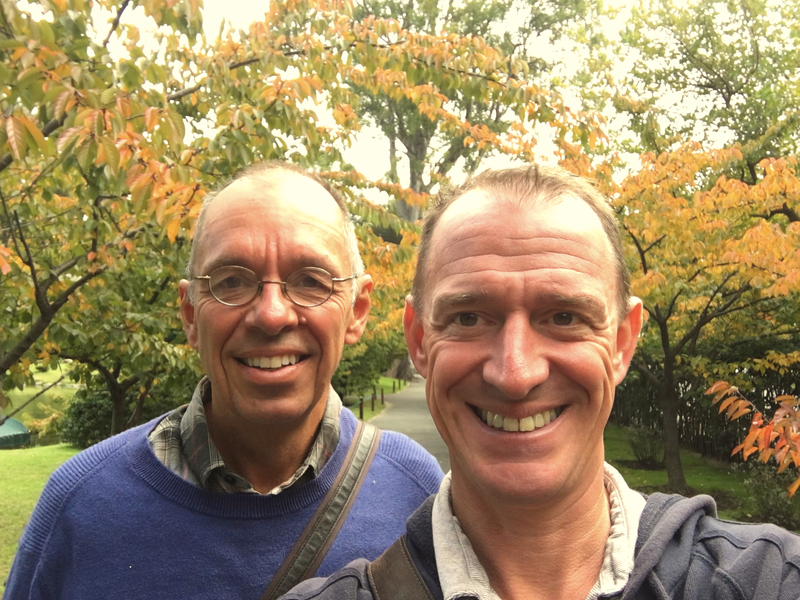 Just about exactly six months ago it was fall and we were in Córdoba. Here it is six months later and it’s fall again – that came around fast! – and we’re in Córdoba again. Weird. The first one, of course, was in Spain, in the northern hemisphere. Now we’re in the southern hemisphere, fall again, but this time Córdoba, Argentina. And then there was this Lebanese restaurant. 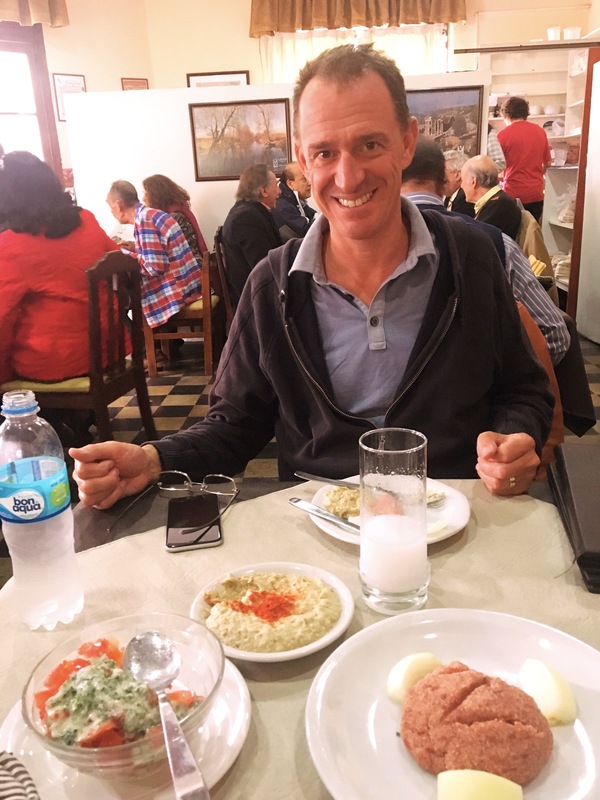 You can see how happy Mark is with baba ganoush and kibbeh nayyah and raki. That’s living. This Córdoba, with about 1.3 million people in the middle of Argentina, is the country’s second-biggest city, after Buenos Aires of course. It hosts the country’s oldest university dating from 1613 (and thus 23 years older than Harvard) and is very much a college town. Mark & I discovered one implication of that when we went out mid-morning one day to explore a supposedly “happening” neighborhood. Turns out that in a college town if you go out at 11:00 on a Sunday morning the place is d-e-a-d; there wasn’t a soul moving besides us and a couple stray dogs. We weren’t great tourists in Córdoba. We didn’t go to any of the museums and pretty much just wandered aimlessly when we weren’t hanging out in San Martin Plaza, the city’s main square. 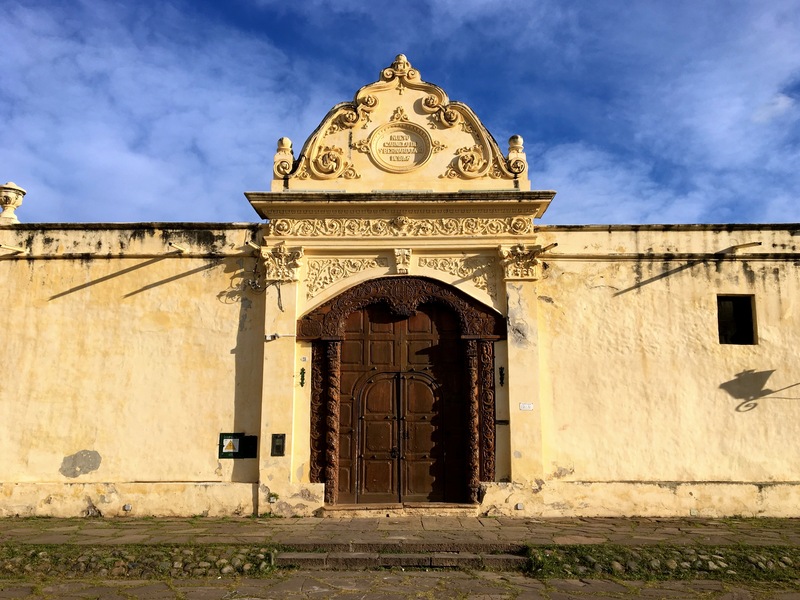 We did manage to wander around the UNESCO-recognized Jesuit Block, a group of 17th century buildings founded – not surprisingly – by the Jesuits. We found some pretty good restaurants, though doing so is a bit of a challenge. One of our typical strategies is to go out around 7:00 PM or so after doing some TripAdviser research and just see what looks good. You do that in Córdoba and the places you’re looking for are closed up tight. Not a soul moving or setting things up. That doesn’t start until 8:00 or so and places don’t get busy until maybe 10:00 PM. We’d make reservations for 9:00 or even 9:30 and we were still among the first in the restaurant. 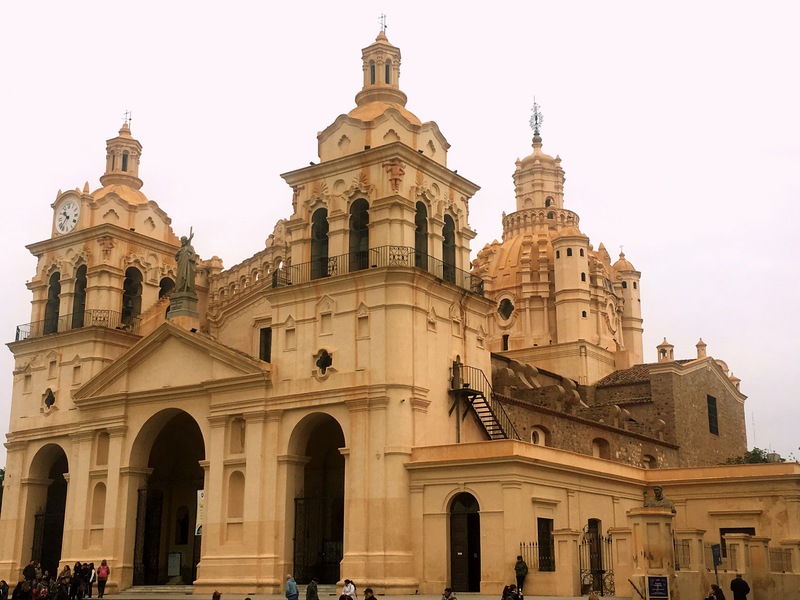 Two other strange things about Córdoba. I went out for morning runs a couple times and by 7:15 or so there were already a number of people lined up at the door of banks, waiting for them to open a couple hours later. What’s that all about? There must be something really inefficient or screwed up about banks there that people would line up for hours in the morning to get in. And then when it was time to leave we went to the airport to catch our flight to Montevideo, Uruaguay, where we’re going to spend a few days. The woman checking us in insisted we couldn’t board the plane to Uruguay unless we could show her a flight reservation that we were going to leave Uruguay. Now, Uruguay doesn’t even require a visa for Americans – it’s a remarkably easy country to get into – and our plan is to catch a boat from Montevideo to Buenos Aires whenever we’re done with Uruguay. We don’t have a reservation because you don’t need one for the boat, and we don’t even know precisely when we’re going to leave. Ultimately, after conferring a couple times with management, she gave us our boarding passes, but another woman from the back office came out and explained to us that you always need to show an outbound ticket to get into a country; they want to make sure you’re not going to just stay. 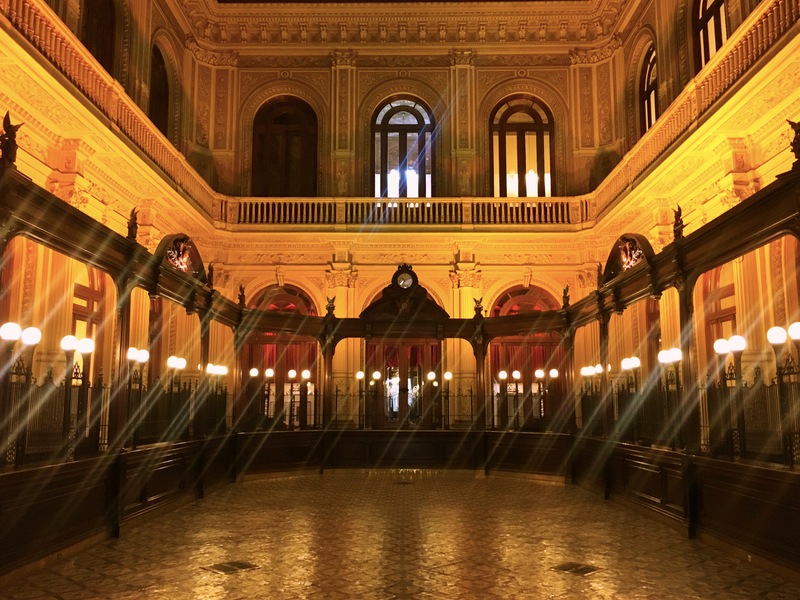 All this on the third anniversary of leaving Cambridge when we’re pretty savvy travelers – Uruguay is our 50th country just since leaving the U.S. – and we’ve never had this experience. Strange. 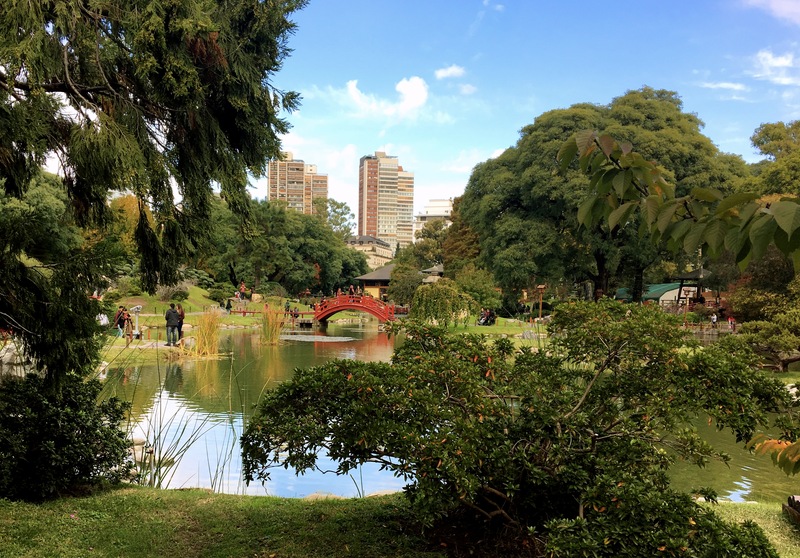 Parque Sarmiento is a huge green space in the middle of the city. We went there on Sunday afternoon when there were a lot of locals enjoying May Day. One of the stranger museums we’ve ever been to was in this grand old bank building. It was free, with a little bit of mostly modern art, but the best display was just the old bank building itself. The Cathedral’s interior is grand, though I thought it paled compared to Salta. We are, of course, big church goers as we travel from city to city. Enjoying dinner at another great Córdoba restaurant. 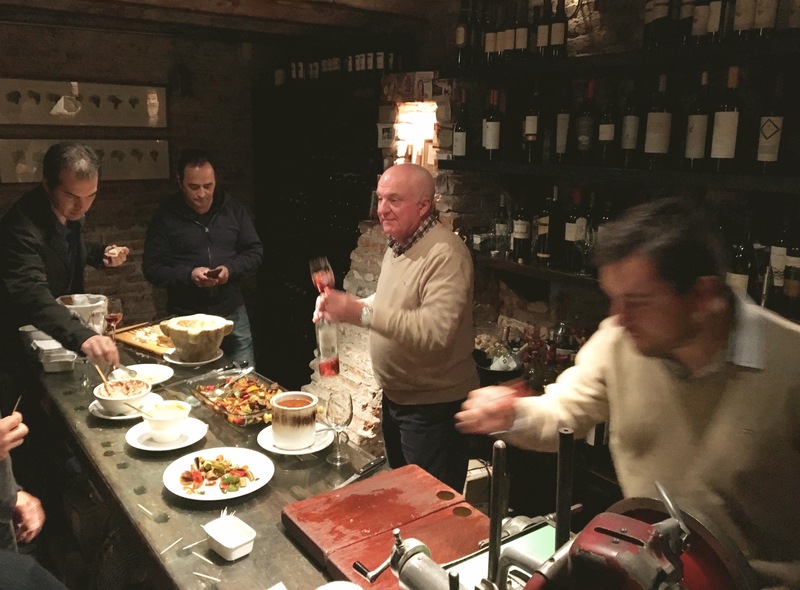 One of the best parts of eating here – perhaps in all of Argentina – is that wine is everywhere, incredibly cheap, and exceptionally good. In a nice restaurant you can get genuinely good wine for $10 or less. Hard to beat. And finally, we loved this display in the window as we walked by. 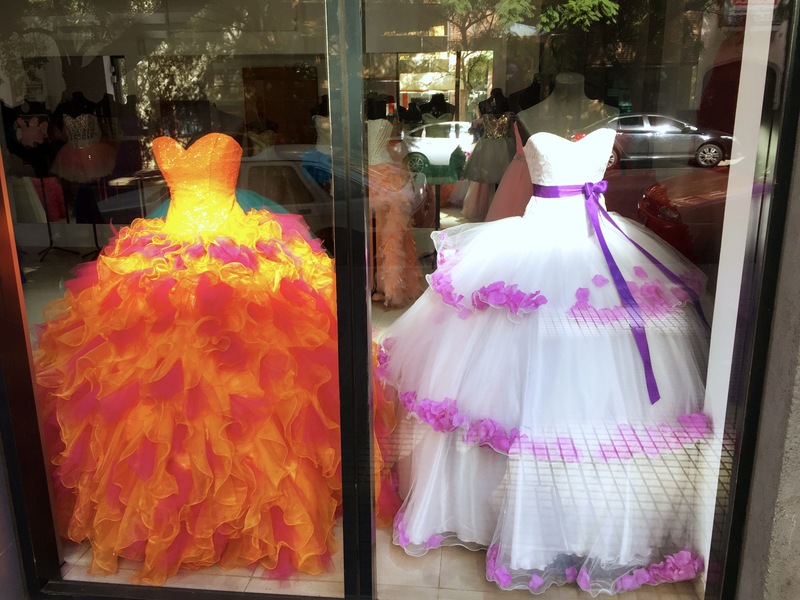 I mean, what bride wouldn’t want to see her bridesmaids in … that? 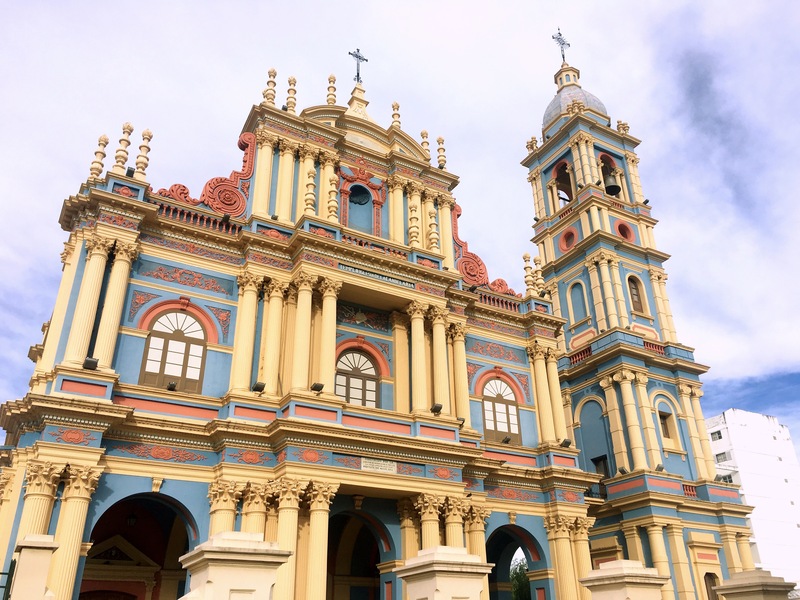 We couldn’t go to Brazil, so we did the next best thing: caught a flight to Salta, northwest Argentina’s biggest city. 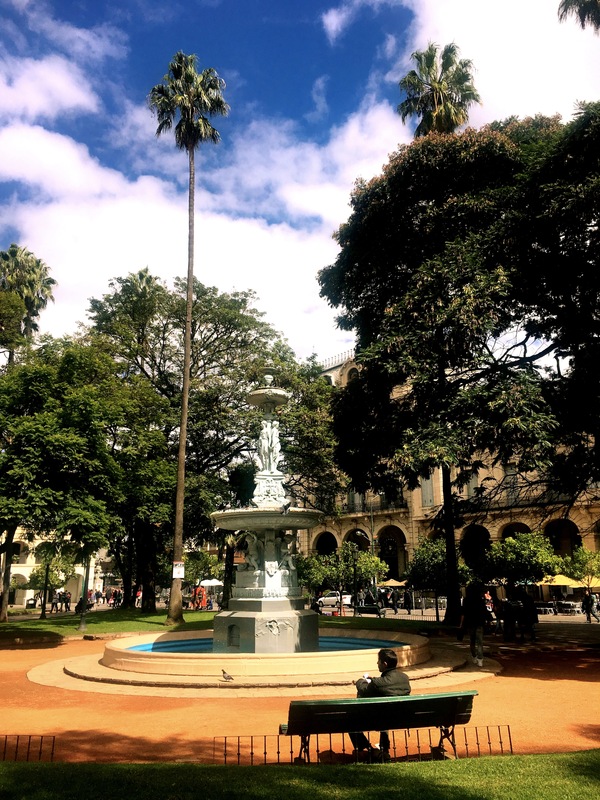 How did we choose Salta? 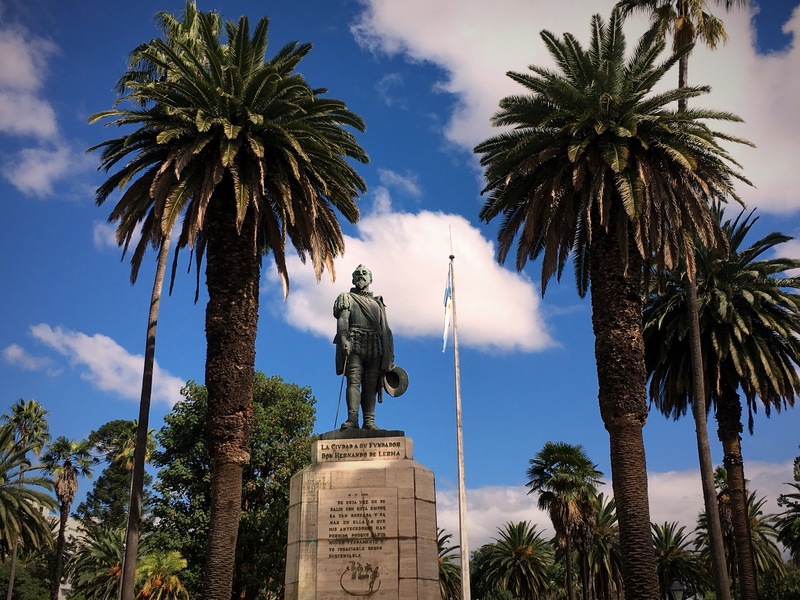 It was easy – it’s one of the few cities in Argentina with a direct flight from Puerto de Iguazu. 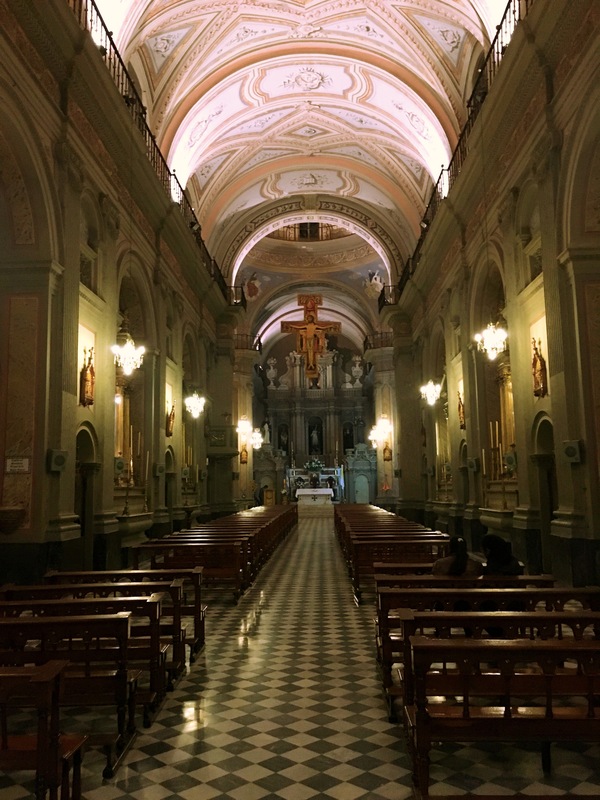 And since we weren’t ready to go to Buenos Aires – the other easy destination – Salta it was. Oh, and we really wanted to see Matt Damon’s wife’s hometown! The blazingly white 16th century Convent of St. Bernard. Only Carmelite nuns are allowed in, but from the outside it was beautiful. 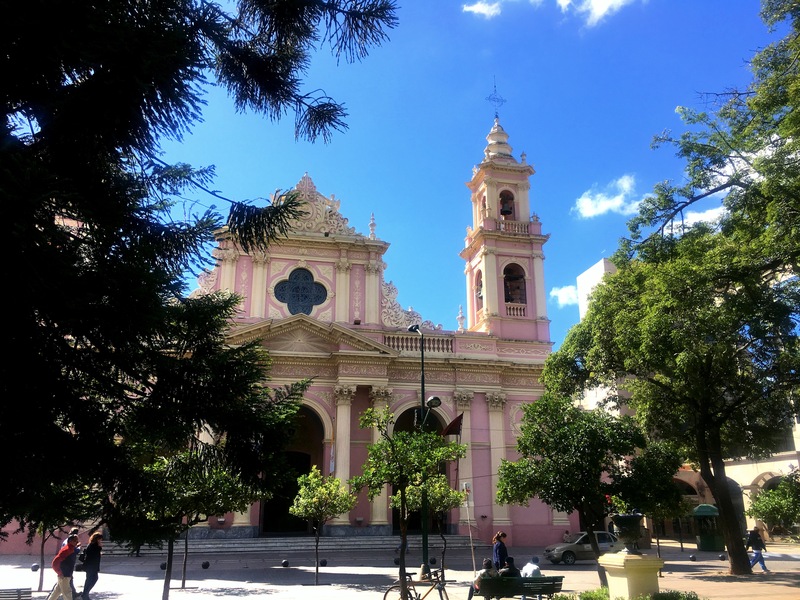 Sitting in the foothills of the Andes at about 3,800 feet above sea level, Salta is famed for its mild weather, beautiful architecture, great scenery, and European sophistication. We thought it more than lived up to its reputation; I was just constantly thinking that it was the most European city we’d been in since, well, we were last in Europe. Like all old Spanish colonial cities Salta has a central plaza surrounded by great old buildings (pretty much always including the cathedral), but Salta’s 9th of July Plaza was in a class by itself, probably the most beautiful square we’ve seen in Latin America. The cathedral was stunning and a couple other churches were worth seeing, too. 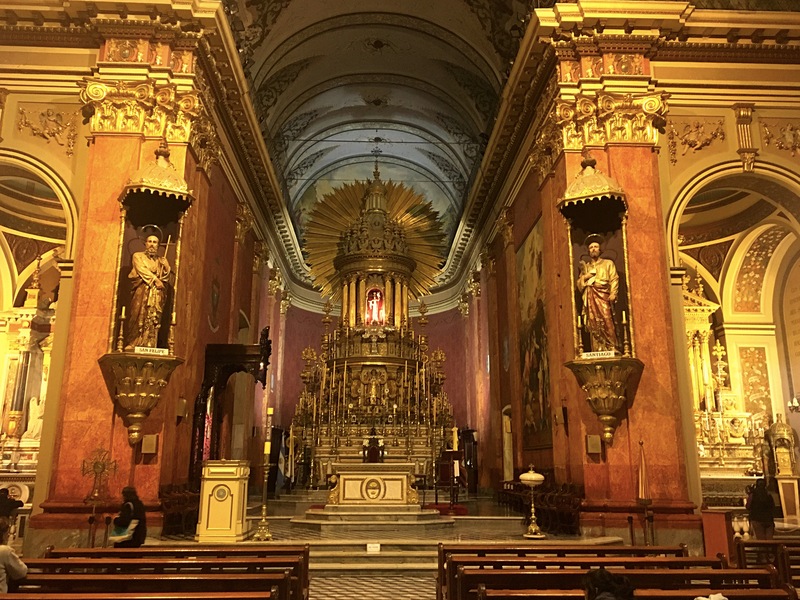 We had only scheduled two days there before moving on to Córdoba (Argentina’s Córdoba, that is, not Spain’s), so we had to pack stuff in. Our first tourist stop was the attractive and very quirky Pajcha, a private museum of ethnic American art, both ancient and recent. It’s a small place owned and run by a woman who is obviously passionate about indigenous art and the links between archeological finds and modern artisans. We were guided around the various displays by Diego who, well, is hard to describe. Little, very excited by his work, sweet, charming, odd … all of that and more. 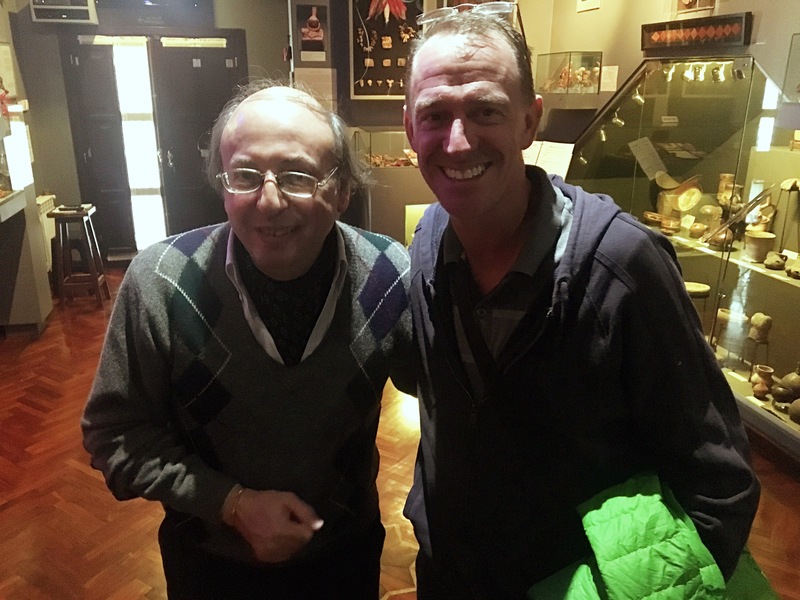 For an hour’s tour through a private collection, though, it was a great time. 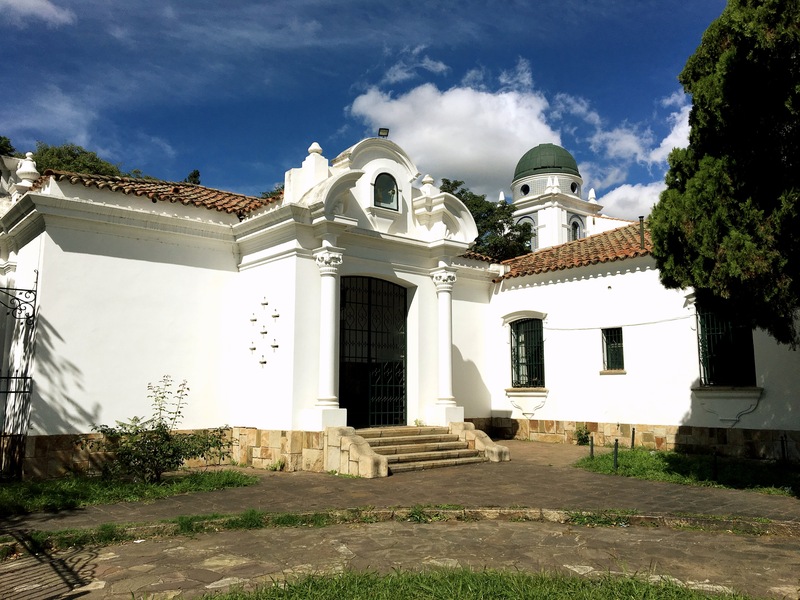 The next stop was Salta’s Museum of High Mountain Archeology. Normally I would pass on a museum like that but this one had a unique exhibit. 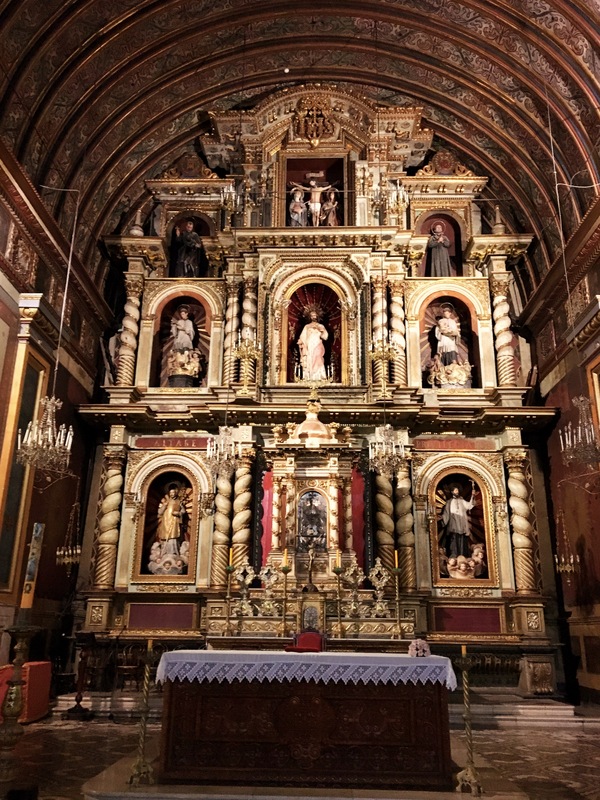 It houses the remains of three victims of Incan child sacrifice from about 500 years ago, all remarkably well preserved; to ensure they’re properly cared for, the bodies are displayed on a rotating basis, one at a time for a few months each. They were discovered in 1999 at the top of Llullaillaco Mountain, a 22,000 foot high peak in the Atacama Desert, the world’s highest archeological site. The display was insightful, if obviously somewhat disturbing. These child sacrifices were held to commemorate particularly important passages in the Inca emperor’s life. Only children from high-ranking families were chosen and allegedly it was considered a high honor; parents are said to have genuinely believed that their children weren’t dying but rather were being elevated to a place of honor with their ancestors. But after all that explanation in the museum – and the exhibits were well done – there you are, face to face with the mummified remains of a seven year old boy sacrificed and left to die on the top of a mountain. Apparently there is a fair amount of controversy as to the ethics of displaying the body, but for now, at least, there he is. Beyond that there were some beautiful churches to poke around in and great little parks to sit in. High above Salta is San Bernardo Hill, good for an energetic climb (or a lazy cable car ride) for great views of the city. And great restaurants. We’re already getting a little tired of Argentine grills but the quality of the food here was petty high. Two days here was not enough; there are lots of day trips we could have done and we’d have enjoyed just hanging out more. But we already had our flight booked to Córdoba so we had to make do with a quick stop here. One last note. Before getting rejected for our Brazilian visa, we’d expected to spend a few days on that side of Iguazu Falls and then fly to Rio for a few days before heading to Uruguay. We had all those flights and hotels booked. When we failed to get the visa we were sure we were out several hundred dollars. To our surprise and delight, though, ultimately it didn’t cost us a penny. Within just a couple days the airlines had refunded every penny of the cost of the tickets. One of the hotels – the most expensive, of course – was supposed to charge us for at least one night, based on the terms of our purchase and the fact that we canceled at 3:00 PM on the day we were supposed to check in, but they waived it. Airlines just saying “Oh, OK, here’s your money back”? Hotels saying “Yeah, we could charge you for one night, but we won’t”? Where does that happen? Here, apparently. Obviously, we’re not complaining. 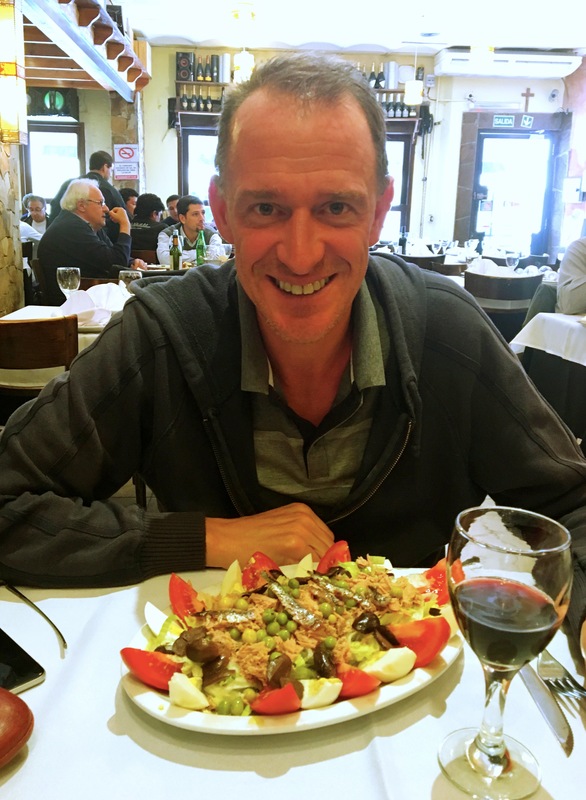 Food was a big deal in Salta. 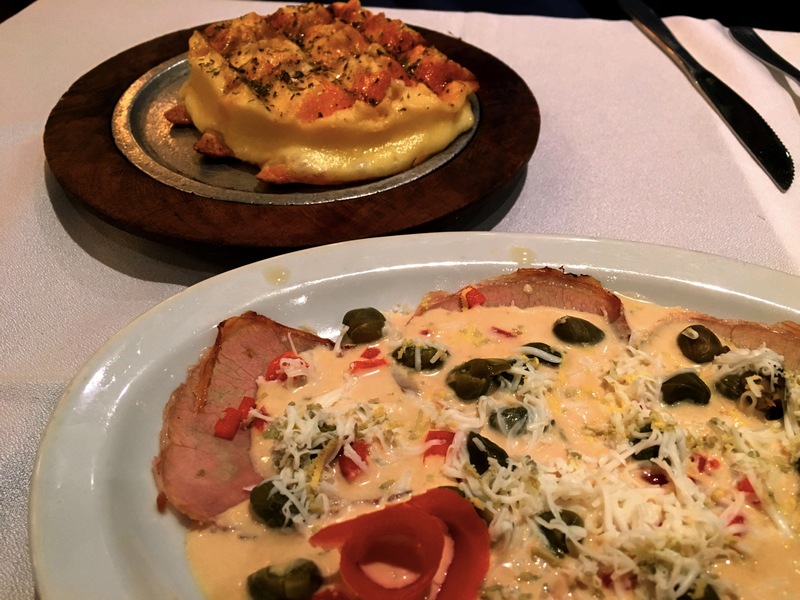 We found a restaurant serving the world’s best provaleta – the fried cheese dish on top – and vitello tonato, an Italian veal dish with a tuna sauce. We ate these appetizers three days in a row! And finally, we had a great hotel in Salta, the Legado Metico, set in a grand old mansion. For $150 a night our room was huge and the public space included a couple beautiful reading areas like this.